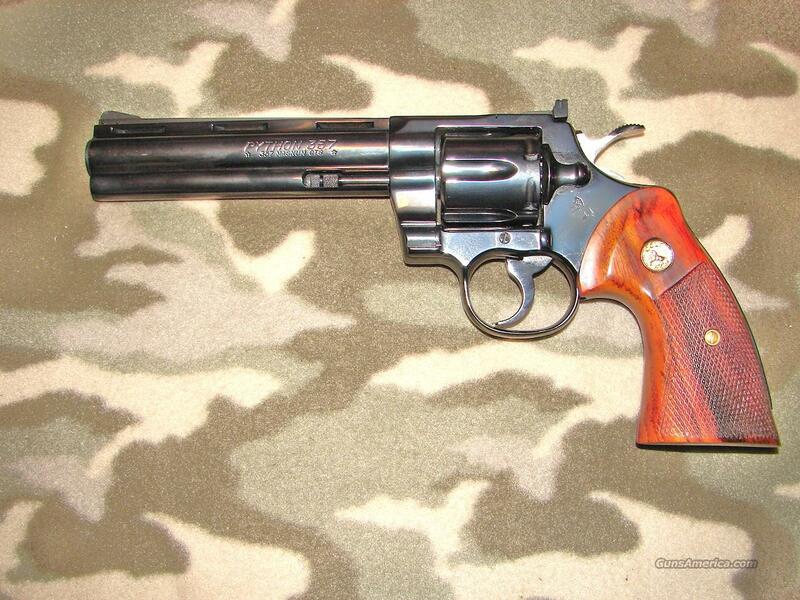 Description: Colt Python Revolver. 38 Spl. # LA9182. 8" bbl with an as new bore. . This blue revolver appears to be new unfired with just a hint of darg line and cylinder stop wear in the grooves from being cycled. This later model Python features redesigned nicely figured wood grips also in excellent condition. Included is a near excellent wood grained python box with styrofoam inserts and paperwork. The python label is blank except for the preprinted caliber designation.